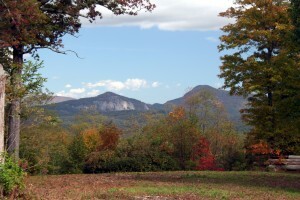 If you own Highlands NC real estate now is a great time to give your home a fall checkup. The heat of summer has passed us by and while the weather is still wonderful it is as good a time as any to make sure your home is entering the winter months in great shape. From clearing your gutters to checking your heating system and everything in between, make sure your Highlands NC home gets the attention it deserves this month. Wondering what to check? On the outside of your Highlands home examine the roof for any missing shingles or tiles, blow out your sprinkler system, and make sure there are no holes along your foundation where critters can crawl in once the weather gets cold. Inside your home make sure your window and door seals are tight and not leaking air. This is also a great time of year to have an HVAC technician come out and give your heating system a once-over. Taking care of your home means taking care of your investment. Contact me, Lynn Kimball, today to learn more about Highlands real estate and get recommendations on caretakers, property managers, inspectors and service technicians. I welcome the opportunity to share my knowledge and experience with you.